Really dive into the encaustic painting world using unconventional ideas and approaches to your creativity. Embrace the rules and learn to break them without jeopardizing your end result. Learn to incorporate your own style into each piece with confidence. Lots of one on one instruction offered. 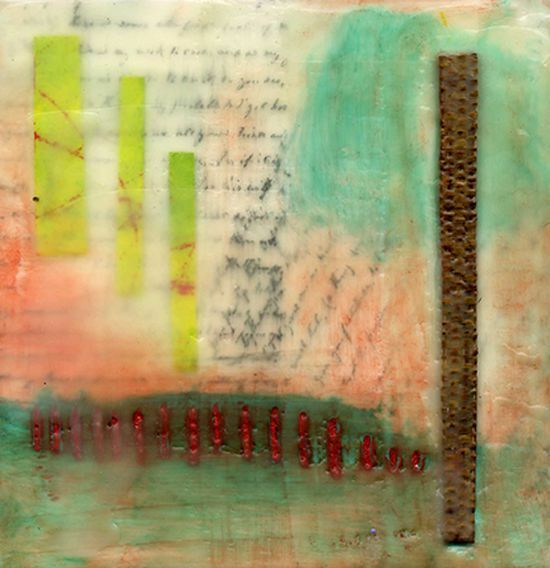 Any items you would like to incorporate in your encaustic such as papers, coins, fabric, images, text. Bring items that mean something to you. Get them out of the drawer or off your computer…words, images, etc.